The Use of Sugammadex in Clinical Practice: Which Patients Are Most Likely to Benefit? The main advantage of sugammadex-based reversal compared with the “classical” acetylcholinesterase inhibitor-based concept is that it achieves more rapid and more reliable recovery and has the unique ability to dose-dependently reverse any degree of neuromuscular block. Mainly because of economic reasons, sugammadex is often limited to patient groups or procedures that are most likely to benefit from its unique features. In this context, patients with myasthenia gravis, patients undergoing (abdominal) laparoscopic surgery, patients undergoing short-acting procedures that require neuromuscular blockade, obese, elderly, or patients undergoing rapid sequence induction are most often cited. However, at comparable costs, this arbitrary limitation of sugammadex could be abolished. 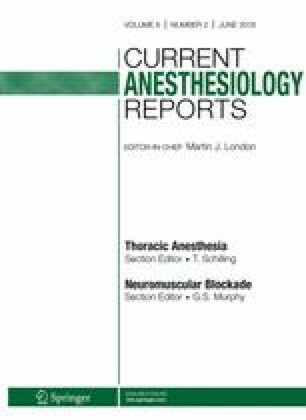 This article is part of the Topical Collection on Neuromuscular Blockade. Thomas Fuchs-Buder has received compensation from Merck for service as a consultant.